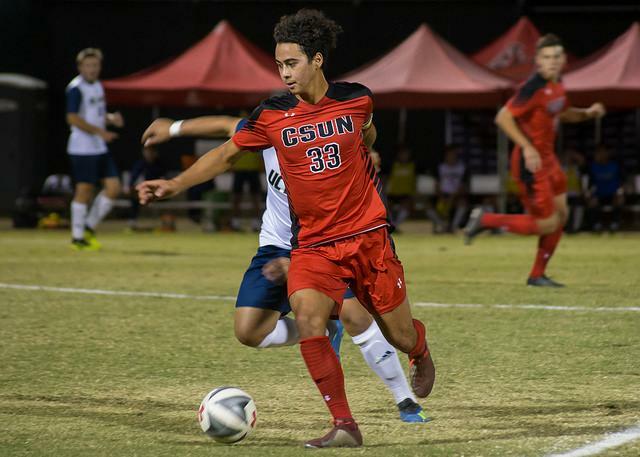 Forward Daniel Trejo scored the first CSUN hat trick since 2015 in Sunday’s 6-1 victory over Utah Valley while fellow forward Khalid Hunter has now scored in all four games this year leading the Matadors to a great start to the season. 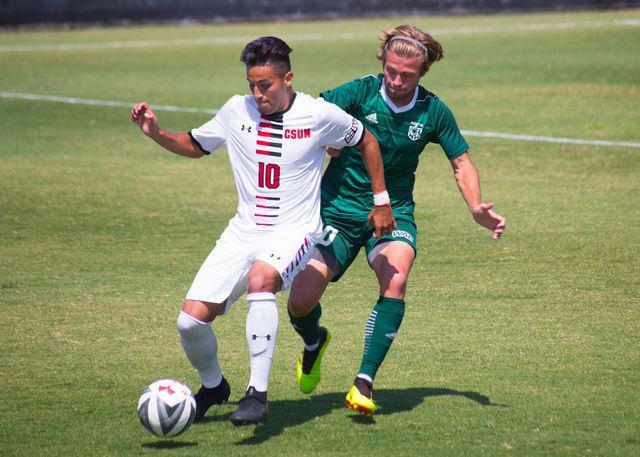 The Matadors started the weekend off by grinding out a 1-0 victory over New Mexico in the home opener on Friday. Hunter, a redshirt freshman, scored the game-winning goal in the 73rd minute after he latched on to Sam Dadzie’s shot off the post. 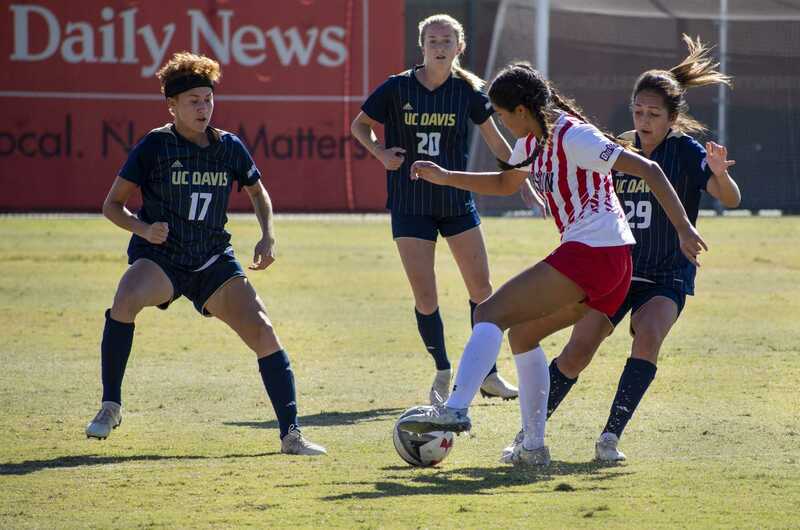 It was the second shutout win in a row for Davila’s team after allowing three goals in the first game of the year against San Francisco. Despite scoring the only goal of the game, Hunter gave all credit to his defense for grinding out the result, singling out last year’s Big West Goalkeeper of the Year Henrik Regitnig. The second game this weekend against Utah Valley had the makings of a tough match, with the Wolverines winning their first three games. 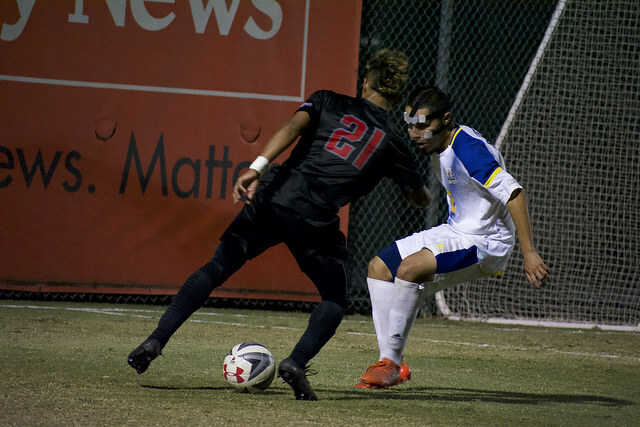 But in the end, Trejo’s 12-minute hat trick in the second half inspired CSUN to their third victory of the season. The Matadors drew first blood in the 21st minute through freshman Wolfgang Prentice and the score would remain 1-0 at halftime. Just 5 minutes into the second half though, Utah Valley midfielder Zach Maas tied the game with a cool finish from inside the penalty box. It only took a couple of minutes for CSUN to retake the lead, with Trejo getting on the end of a header from Ehi Isibor to get his first goal of the season. Eleven minutes later, it was Trejo again finding himself in a good position in the box to grab his second after Utah Valley failed to clear a cross from Defender Samuel Dadzie. Trejo would complete his hat trick a minute later when Michael Flores sent him through on goal to give the Matadors a 4-1 lead. 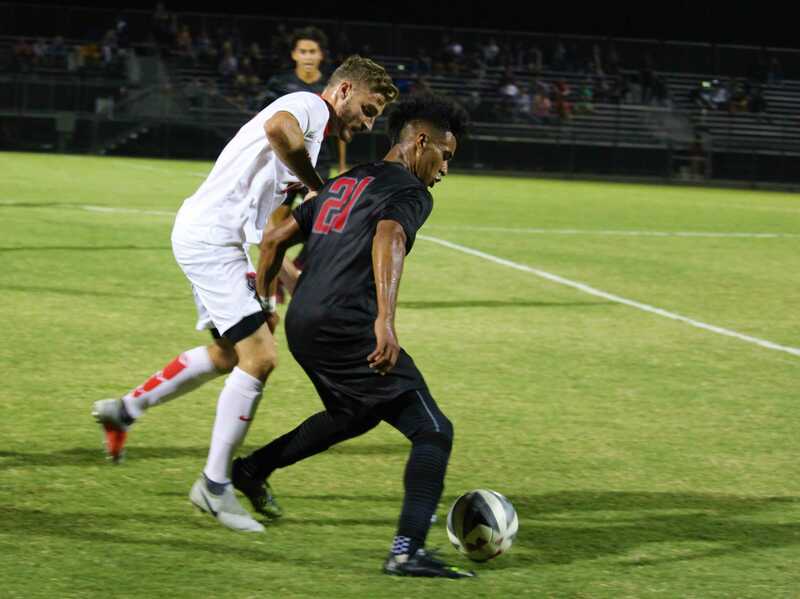 The Matadors never took their foot off the gas, as Hunter scored for his fourth goal this season. Junior transfer Johnny Rodriguez then made it 6-1 late in the game for his first goal in a CSUN jersey. 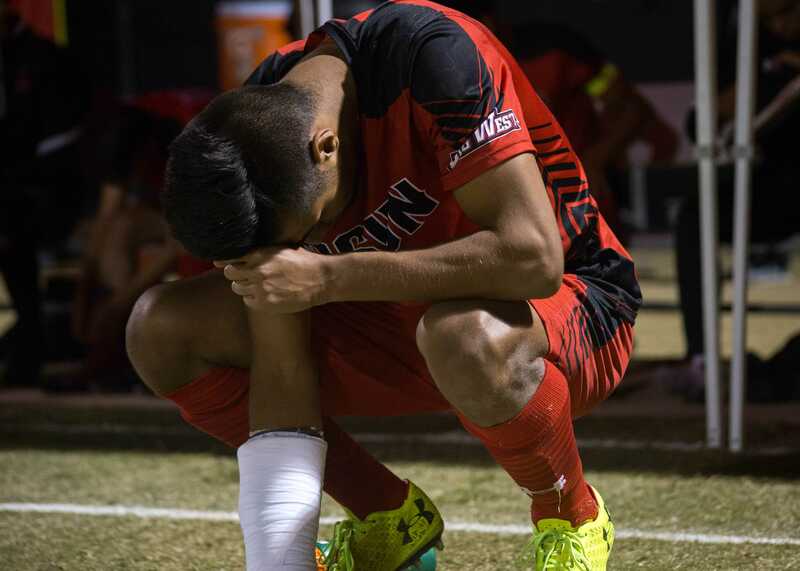 Davila praised his team after the game, saying that they knew Utah Valley would come out and play strong physically to start the second half to get the equalizer. Once it came, Trejo went to work and put his team in a position to win the game. 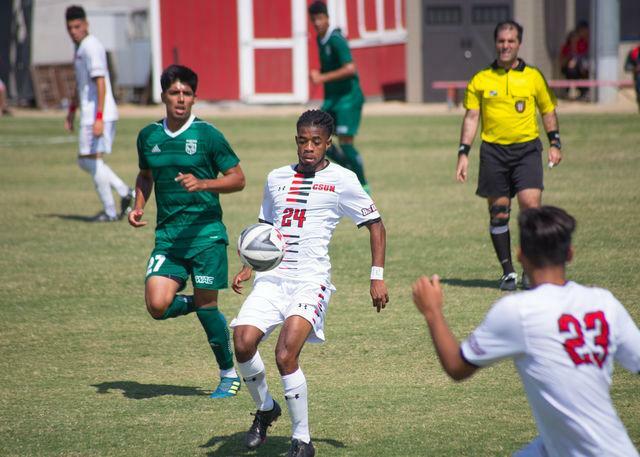 After winning both games this past weekend, the Matadors sit at 3-1-0. They face a tough road trip up north this upcoming weekend, going up against #23 Washington, 2-1-0, on Friday Sept. 7 followed by Seattle University, 2-1-0, on Sunday Sept. 9. Editor’s note: An earlier version of this story featured photos of Nicholas Grinde and Daniel Trejo in a game against UNM. Photos of Michael Flores and Dre Deas playing against Utah Valley are in the current version.